All right so I jumped on the bandwagon and I bought an instant pot. What is an instant pot? Well it is a pressure cooker and instant pot is just the brand-name. I have had this pressure cooker for about a month now and it has forever changed my life. It makes cooking so much easier for me and everything that has come out has been delicious. Even my son who is a very picky eater has been willing to try several of the dishes that have come out of the instant pot and has liked some of them. I haven't used my stovetop or oven in several weeks (except for weekly pancakes on Sunday). I'm not sure I will ever cook many of my weekly traditional dishes on my stove top again. I have tried several different recipe recommendations from friends and searching on Pinterest. Here are some of my favorite recipes and where to find them . I have made a few adaptations to ensure they are gluten free for my family. *I often omit the jalapeño because it isn't something I regularly have in my pantry. *this sauce is amazing. I use coconut amino instead of soy sauce to make it gluten free. Next time I want to add pineapple to give it a tang and sweeter flavor. *I was able to find a gluten free powdered gravy mix. This has a bit of a spicy flavor but very good with mashed potatoes. *No joke these eggs come out perfect every time! I have tried a beef stew, frozen chicken, and a few other things but I don't have a specific recipe for them. I now use my Instant pot 4 or 5 nights a week to help me with dinner and I almost always have leftovers. I love that it doesn't heat up my house which will come in handy as we are vastly approaching summer weather. It doesn't always save me time (most of the time it does though) but it saves me the headache of standing at the hot stove and potentially ruining my meal with my family distractions. I hate to have another big appliance in my kitchen, but if gets my family to eat healthy home cooked meals then it is a win for me! I highly recommend using an Instant Pot and I now understand why so many are excited about them! 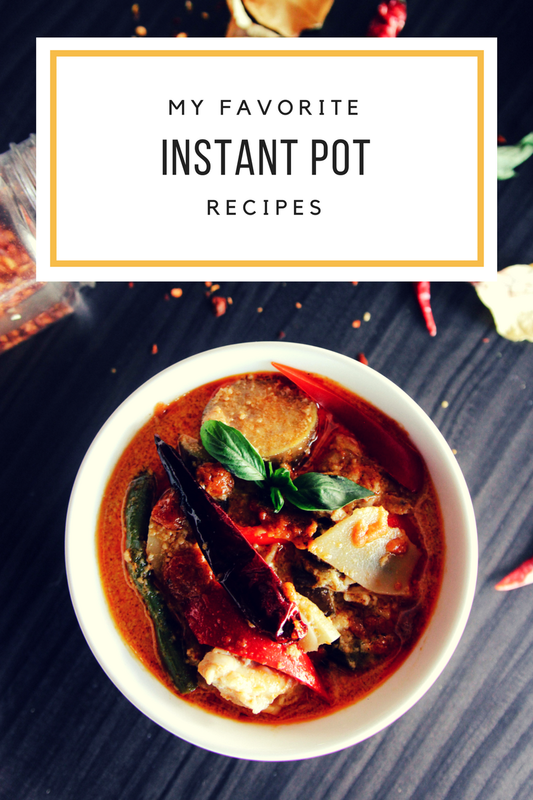 How about you, do you have a favorite Instant Pot recipe to share?